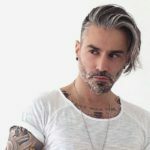 Men’s hairstyles are done according to the latest fashion trends in the world, we carefully choose the hairstyle depending on the shape of the head, and there are experienced experts who will help you find the right hairstyle for yourself with the help of adequate advice. Hair coloring is done mainly for gray hair, restoring hair to natural color,with no red pigment, we also do coloring according to your wishes. Women’s haircuts work according to the shape of the head (faces), the hairstyles are adapted to all ages, occasions and manifestations, the hairstyles are done according to your wishes, but at any moment you can expect constructive advice to make your hair look the best. 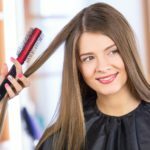 In our offer you can find various types of coloring techniques such as Ombre, Sombre, Balayage, Monochrome coloring (full length coloring) and Coloring of strands. In addition to all these techniques, we also do classic shuffling. Each client receives expert advice on coloring and picking the right hair paint and adequate pigmentation. With classical coloring of whole hair, you can also choose to color strands with coloring techniques such as Ombre, Sombre, Balayage, strands of comb, classic strands, with the right advice of our team, you get the perfect color of the strands. Hairdressing is done for all occasions and we are here for you to spice up a little masterpiece work at every opportunity and not to leap out of aesthetic forms. We do all kinds of styling , flat styling, flares on bows, waves, spiral waves, curling. Keratin hair straightening is the fastest and most effective way to get back the loss of keratin and to repair damaged hair back to shine and strength, and the curly or wavy hair corrects and flatten . The effects of keratin treatment lasts 3-6 months depending on whether the hair is healthy, mild or very damaged. The hair straightening treatment lasts about 2 hours depending on hair length. In our salon we work with Brazilian keratin of American production. Hair can be damaged in a number of ways, and most often this happens due to mechanical damage (cessation), chemical damage (coloring and bleaching), thermal (hair drying) or if the person has naturally dry hair.Ecoplex treatment is just as helpful in all these cases and it is designed exclusively for hair recovery. It is made exclusively in hairdressing salons, and with us you can do it as a treatment for whole hair or as an additive in coloring and bleaching where it prevents hair loss. -is a chemical and thermal treatment of hair for making curls. The process of durable or mining is a great way to add curls, and therefore the density of straight hair. Another advantage is the simple way of maintaining a hair styling where you do not need a hair dryer or various screwdrivers but just let your hair dry naturally and you are ready to go out. Minival does not always have to look like artificial hair. There are various variants of curls: from those tiny to the big curls that look like yours natural hair. For this effect, mild chemicals and large wrappers are used to make the hair look natural. In order to avoid the harmful effects of treating hair with minival, the hair should be carefully treated and provided with sufficient hydration to prevent peaks from cracking or damaging. 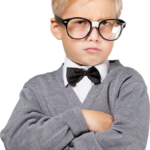 In addition to hairdressing services for adults, we also offer professional haircuts and hair styling for boys and girls. With a relaxed atmosphere in the salon, we try to beautify your kids hair and to be interesting and exciting at the same time.